–My Son, My Son, What Have Ye Done? 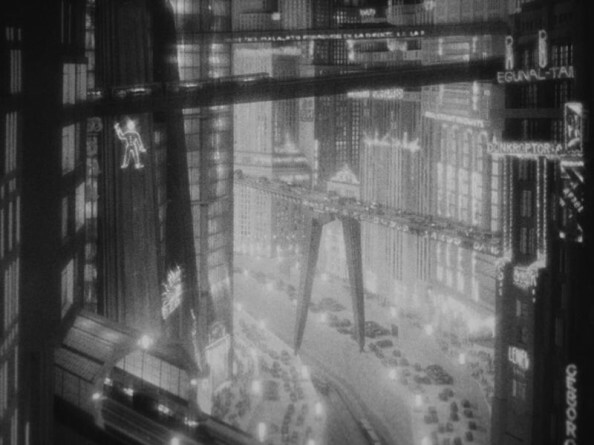 To celebrate the release of Fritz Lang’s restored silent classic Metropolis, we have articles on futuristic cities on film and Escape from New York and a Reel Sounds column on Things to Come while Ed Hollis tells us why he would be Wall-E if he were a film character. In the cinema releases, we review The Last Exorcism, Herzog’s brilliantly skewed police procedural My Son, My Son, What Have Ye Done?, the harsh and beautiful hillbilly tale Winter’s Bone, Franti&#353ek Vl&#225&#269il’s subtle war tale Adelheid and we interview Gaspar No&#233 about his latest provocation, Enter the Void. New DVDs include Bong Joon-ho’s fantastic Mother, Richard Fleischer’s take on the Leopold and Loeb murder case Compulsion, starring Orson Welles and we have a comic strip review of Pet Shop of Horrors, courtesy of the Queen Mum. We also have an interview with Joe Dante about his new interactive series Splatter. We interview Fr&#233d&#233ric Temps, founder and director of the wonderful L’Etrange Festival and Frank Cole is the subject of this month’s Colonial Report from the Dominion of Canada. In the blog, we have an opinion piece on the much talked about A Serbian Film, as well as reports on the Film4 FrightFest and Shinsedai festivals. Filming the Last Exorcism: During Film4 FrightFest, Alex Fitch interviewed producer Eli Roth and director Daniel Stamm about their new â€˜mockumentary’ horror film The Last Exorcism. Daniel Stamm talks about how using a documentary style to make supernatural movies helps break the fourth wall for the audience to help draw them into events, while Eli Roth talks about how his experience of producing his own movies Cabin Fever and Hostel differs from his more advisory role on this film.